Sydney is very excited! Sydney has a new client! Writer comes to Sydney with novel they wanted to sell to New York, but here is twist: Book is already a top seller!!! Here is deal. 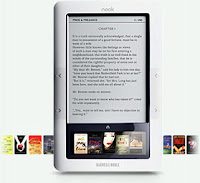 Writer has already published novel as ebook on Kindle and Nook and other ebook-things. Turns out to be big seller, and gets lots of attention, even press! Sells lots of copies and makes lots of money! But client is romantic. Despite all this money, does not think she is really "published" until she has agent and sells to New York! Writers with stars in eyes make Sydney purr! They is putty in Sydney's paws! Sydney plays it cool, and licks her paws for a while before saying "yes" to client! Client is so grateful, she is ready to clean Sydney's litter box! Novel is easy sell. Book has proven track record, and proven appeal! Publishers line up, and Sydney has auction! Advance is good! 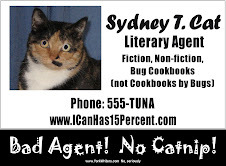 Of course, writer loses out big time on royalties, but Sydney does not care, because she gets cut! All Sydney really cares is that SHE makes money!!! Publisher also agrees to let writer keep selling their ebook version, because publisher wants to piss on edit and revise book so much, their version will be much different. Why they want to fix what is working? Sydney does not know! Lots of work for writer, but it not Sydney's problem! But Sydney is annoyed. 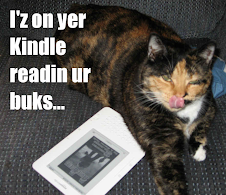 Writer's self-published ebooks still sell, and what's in it for Sydney? Sydney tells client they gots to pay her 10% commission on ebooks she didn't touch and didn't sell! Grateful writer goes for it, hook, line, and tuna! Sydney wins! Gots writer coming and going! Sydney is genius! Is good to be me! PURRRRRRRRRRRR!